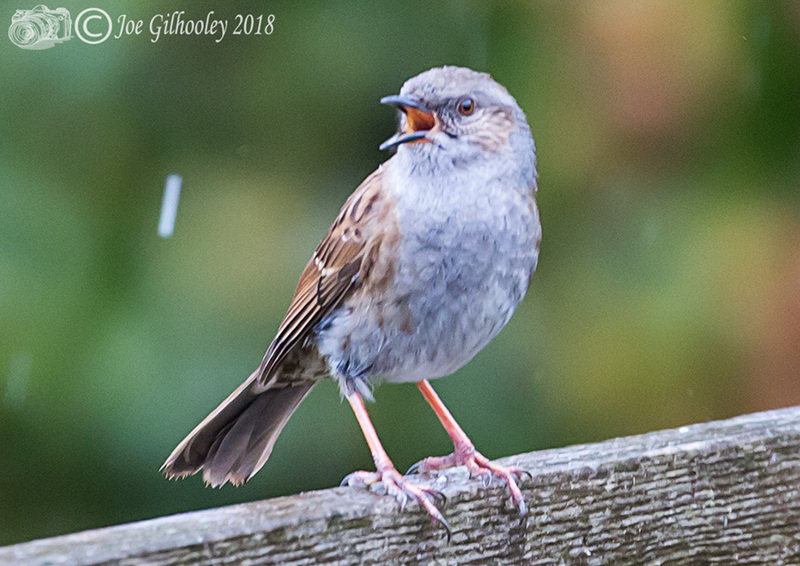 Tuesday 3rd April 2018. 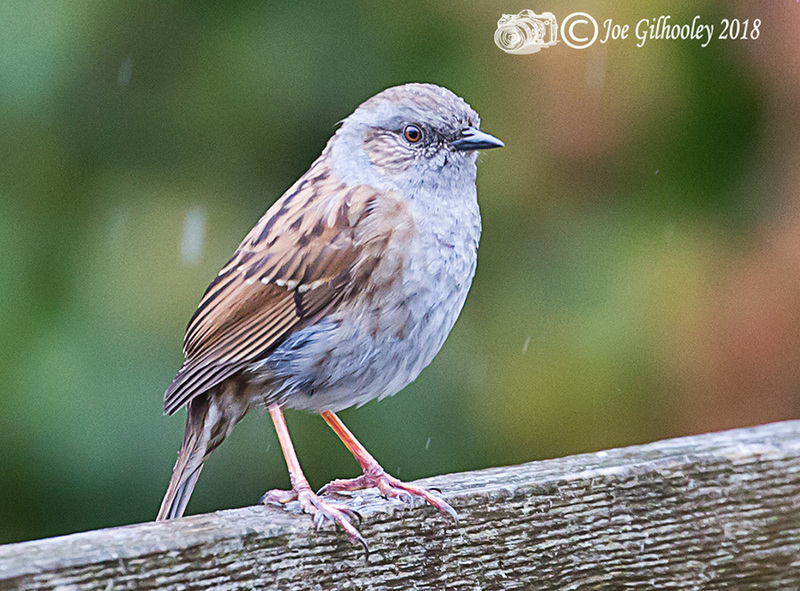 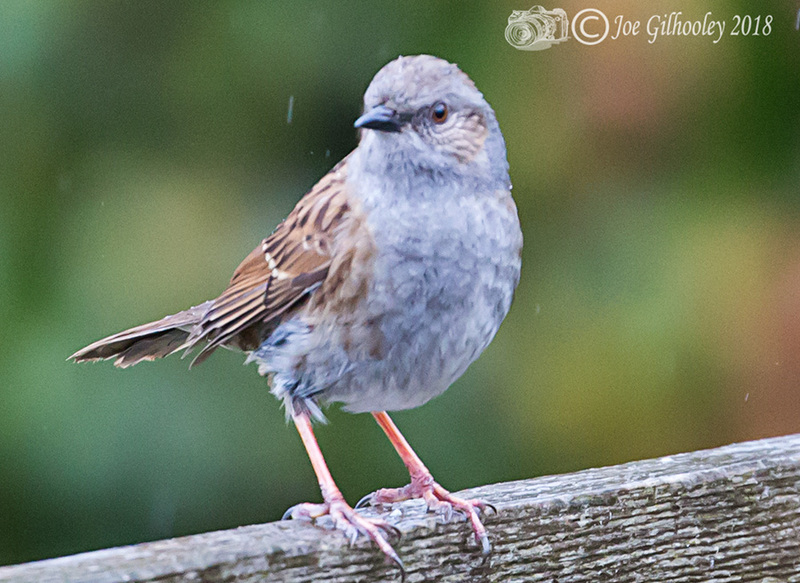 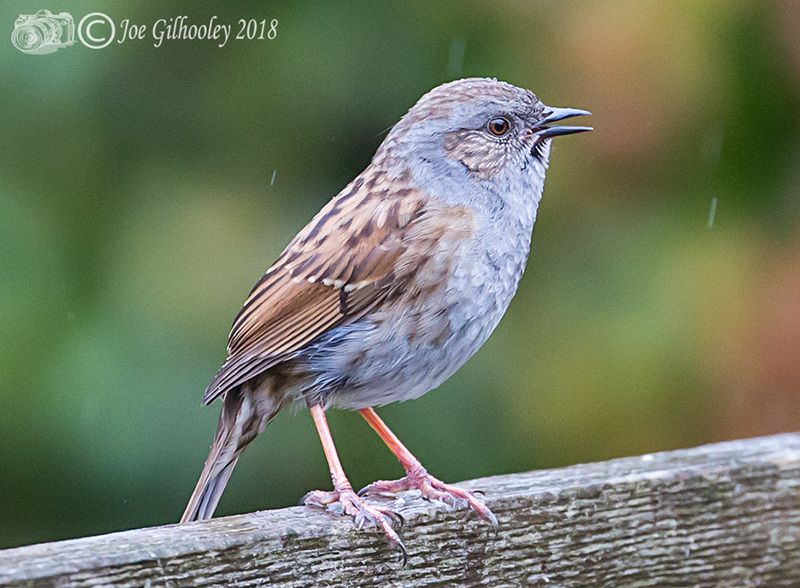 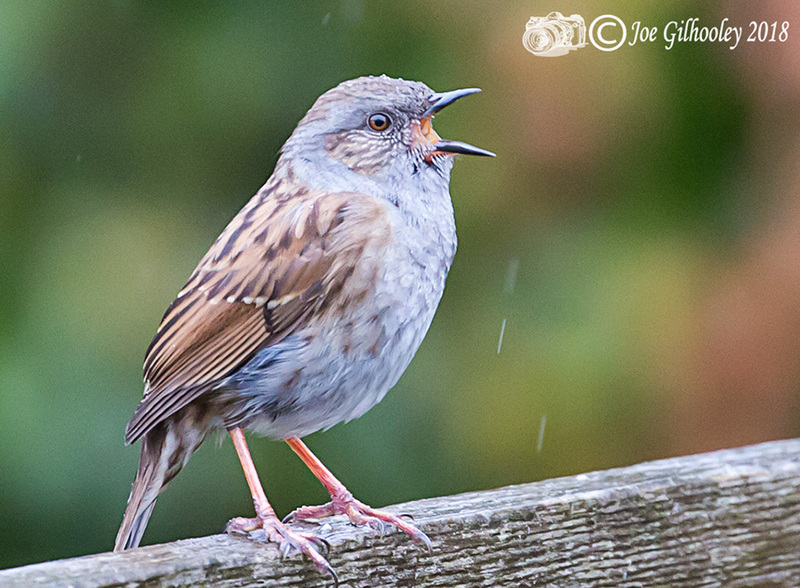 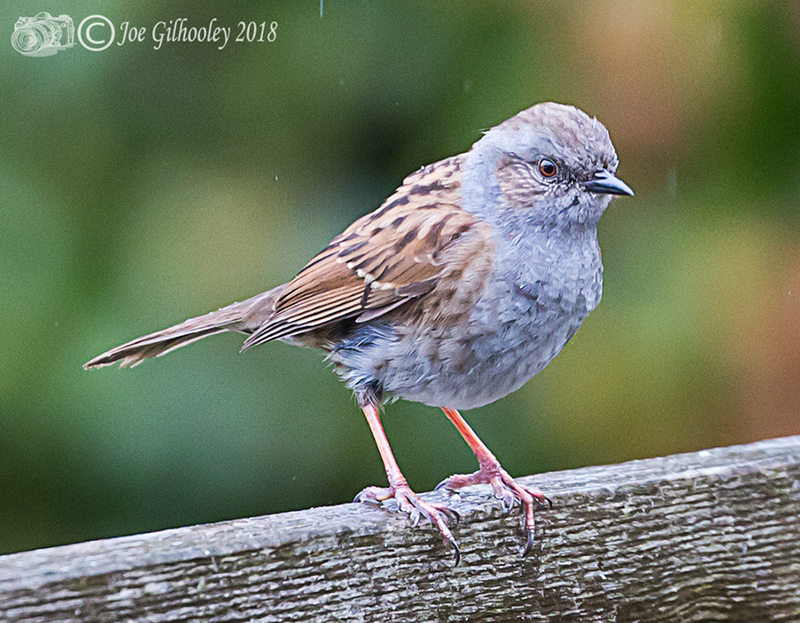 Two Dunnock's continues to come to our garden for food. 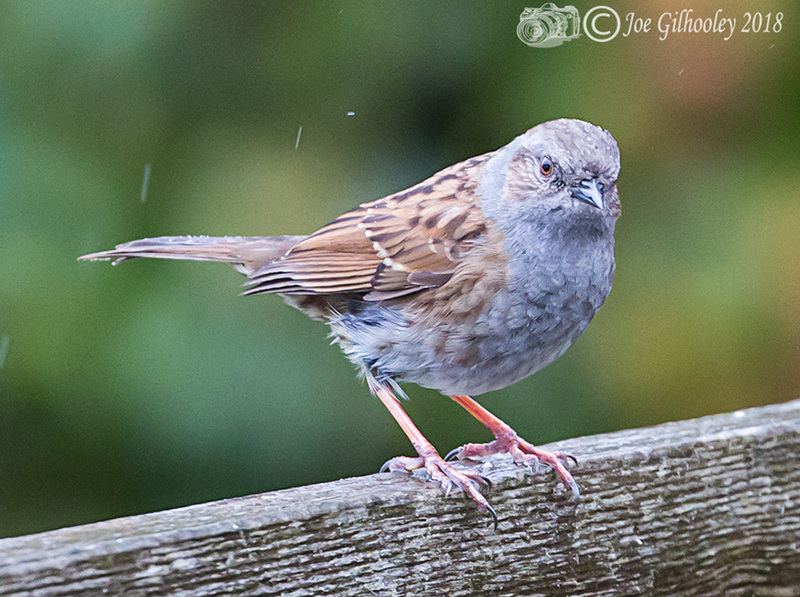 It is very shy and does not often come out of the undergrowth. 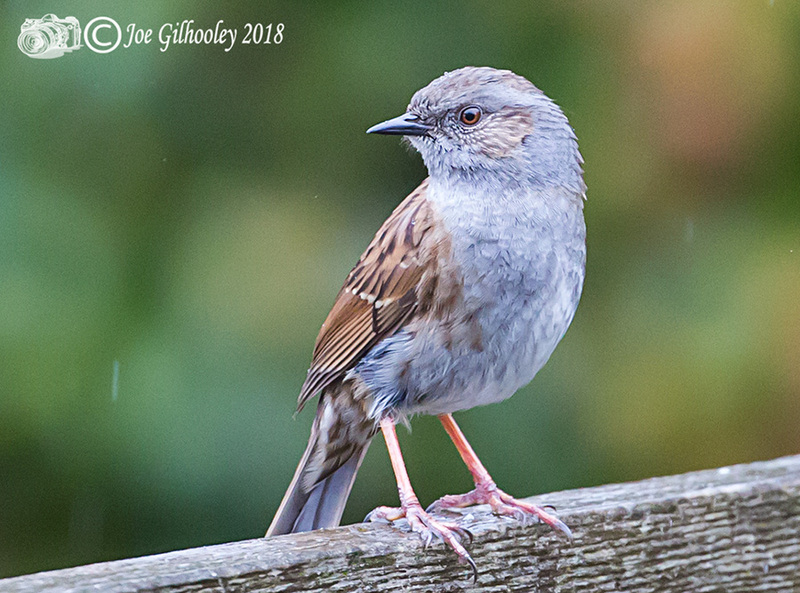 Captured it on our fence for a few moments in the rain.